Hypothyroidism means your thyroid gland cannot produce the normal amount of thyroid hormone. Your thyroid gland is under active. 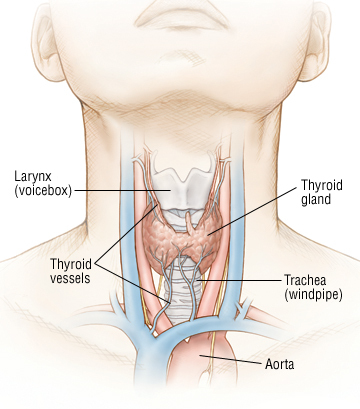 The thyroid gland is located in the lower, front of the neck.